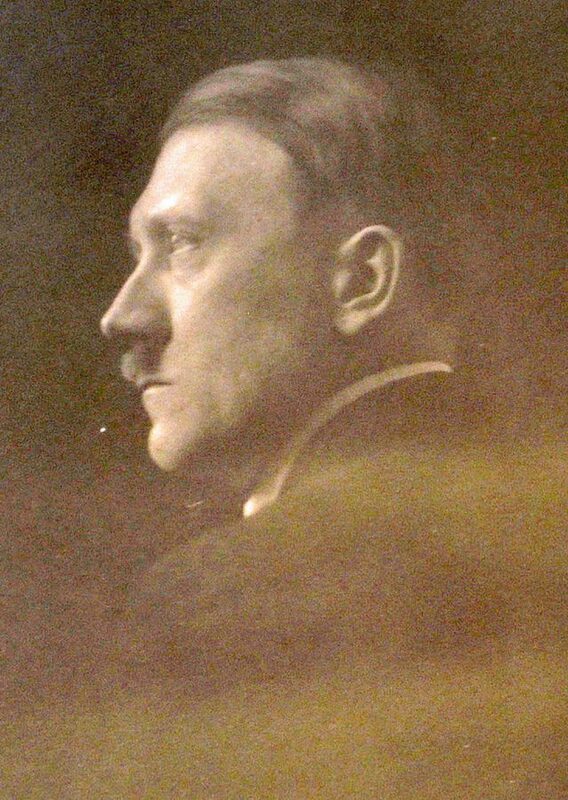 The “rarest ever” copy of Mein Kampf signed by Adolf Hitler and featuring vellum bindings and gold lettering is set to fetch £30,000 at auction. 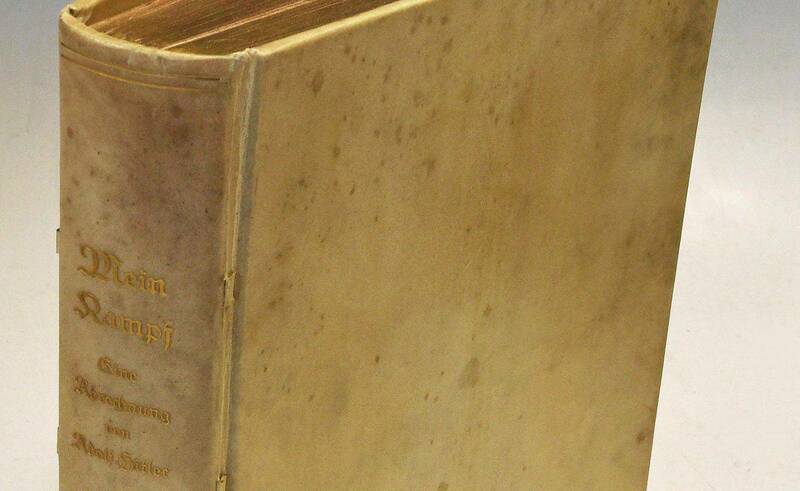 The book is one of the 20 limited edition copies that were produced out of the 500 that were originally printed. 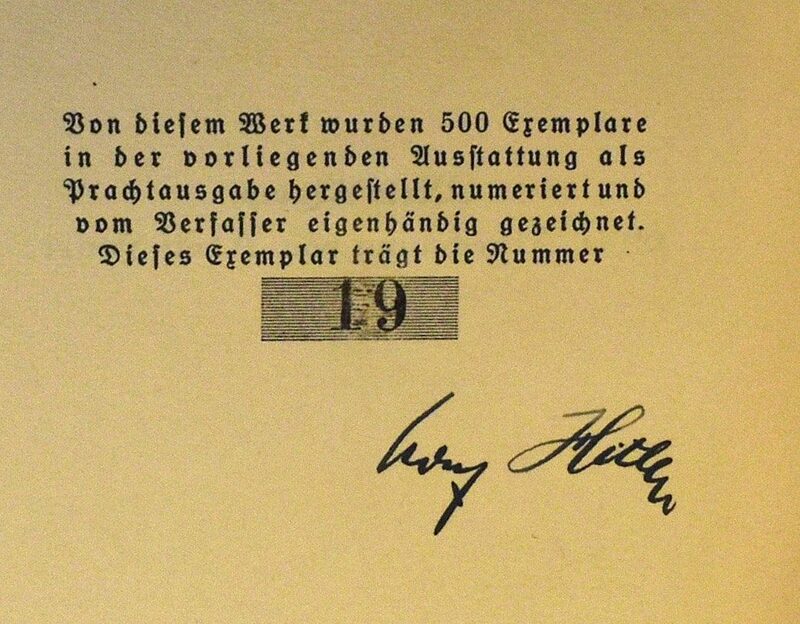 Hitler signed the first edition ‘Special Presentation’ copy and gave it to fellow Nazi Hermann Esser on Christmas Eve 1925. 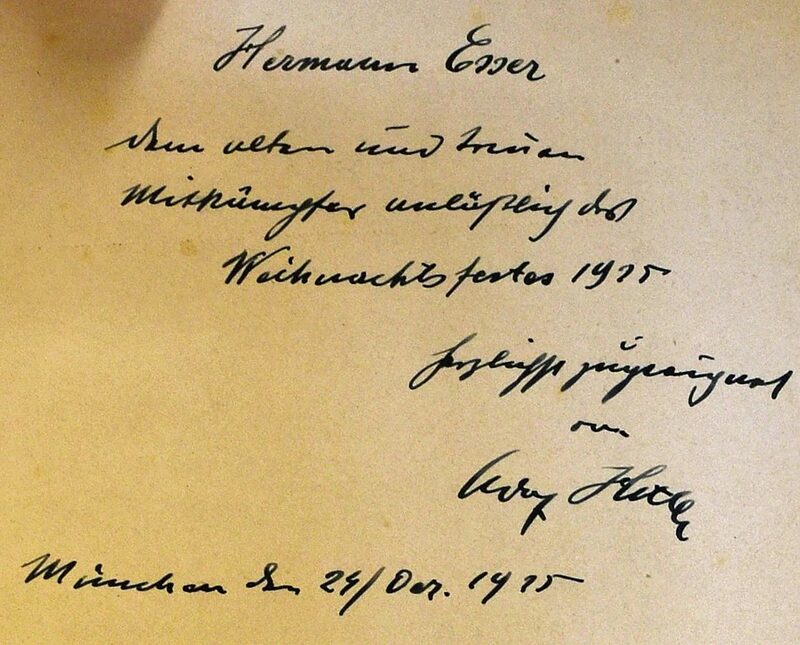 Signed copies of the book were only handed out to a select few of Hitler’s inner circle. Esser joined the Nazi party with Hitler in 1920 and became the editor of the organisation’s newspaper Völkischer Beobachter. He was also a member of the Reichstag and, in the early rise of the Nazi party, was Hitler’s de facto deputy. Esser took part in the infamous Bierkeller Putsch, the failed attempt by Hitler and others to seize power in 1923. He and Hitler were both jailed for their part in the attempted coup and served together in Lansberg Prison in Bavaria. It was while Hitler was in prison that he penned Mein Kampf, which he got published after being released after serving just nine months. Esser’s copy was bought by an Australia collector and is now being sold at auction with a guide price of up to £30,000. It will go under the hammer at Mullocks Auctioneers in Ludlow, Shropshire, on February 23. A spokesperson said: “This is probably the rarest ever edition of Mein Kampf ever to be offered at auction. It is one of 20 – you can’t get much rarer than that.